Sometimes you have to visit something again to find out what it represents to you, without being told what it is, you get to connect in with it. This is something that has happened to me in the last 12 months with the SA-KA-RA energy. I was introduced to SA-KA-RA as Sakara, an element of Tera Mai Reiki and Seichem from my TM Master Teacher. I was instantly impressed with how that energy flowed as part of that system. It felt different to the other elements. All that changed in late 2015, however, as I found myself disconnecting with Ter Mai and having my attunements tweaked to re-connect with Reiki and separate my Ka Ba Sum energy from Seichem. My connection felt strongly of Japanese and not Egyptian descent. I felt my connection with Sakara disappear at that time. My initiation into Sakara energy as part of a system of healing never mentioned what the name stood for. I had no idea. A quick google said it was about fortune and manifesting. The thing was that it was fire energy, which felt for about transmuting, burning through to make changes real. I just accepted it as it was presented. KA meant your double, the life force, or the inner power of the light. SA-KA-RA roughly equates to RA’s life force or power breath. The Breath of Ra is one based in fire, in his manifestation as the Sun, Sun God or holy flame. He brings the light which hold the sacred fire. It is his flame that this relates to. I have to be honest I was expecting Lions when this came through me during healing sessions, where I was getting very, very hot and hearing “Sa-Ka-Ra” over and over in my head. I guessed it was associated with Sekhmet. Well, I guess it kinda is, but not in a direct sense. The energy directly relating to Ra from SA-KA-RA is from Dragons. I shouldn’t have been surprised since I have been working with Dragon energy for a few years now, but still. Dragons? In Egypt? Really? you may ask, but there is evidence that the Egyptians worked with Dragons and that they played a part in life with Ra himself. Thoth showed me the SA-KA-RA as a thin long Fire Dragon Dragon, carrying the Eye of Ra. There is more than meets the eye to this wondrous energy. Get yourself into a comfortable position, somewhere where you feel safe and are away from mobiles and tv/laptop, etc. Sit preferably sitting with hands outstretched, palms facing upwards or outwards. Close you eyes and take a few deep breaths to help yourself balance and ground. Draw the symbol (see below) in the air with one of your hands, saying (speak, chant or say in your mind) three times “SA- KA -RA”. n.b. Draw the symbol from top to bottom, starting with the inner dot and going outwards. Return your hand to the initial position and allow the energy to connect and integrate with you. Feel the energy. Note: You may feel like a pulsing going through your body and you may feel yourself heating up! If you are getting hotter, it is a sign you are connecting to the flame. If you don’t get this or a pulsing feeling, you may just be connecting to it in your own way. Finish with a show of gratitude, such as “thank you, thank you,thank you” and allow yourself to come around gently. Happy Halloween and Samhain, folks! This is believed to be the time of year that Goddess Isis suffered her great loss of her husband Osiris- due to the deception of Set(h). This was the time that Isis used her magic- the ‘Heka’ to resurrect Osiris and bring him together and back from oblivion. This is the end of one cycle, the beginning of a new one. Use your ‘Heka’ to piece yourself together at this time. We are all with you! Connect in with Lady Isis to bring back the pieces of you back together. What is Sirius and how does it relate to Ka Ba Sum? Sirius is the brightest star in our sky- the blue glowing one. Sirius is now called Sirius A, and is the partner to our Sun. The sun completes it’s approximate 25,900 year cycle around the path of Sirius A – the two are doing a cycle in unison. Personified as Sopdet in ancient Egypt- also perhaps Sothis. Sirius was linked with Goddess Isis, linking with her husband Osiris, who was represented by Orion. The noting and following of Sirius is represented throughout our civilisation, The Dogon Tribe, an African tribe near Timbuktu in the West African state of Mali) have paintings on cave walls -dated as at least 700 years old- (protected by elders) depicting Sirius B, another planet next to Sirius A. Astronomers were able to validate the existence of another planet, Sirius B (classed as a White Dwarf) in 1862! In Astronomy- they class Sirius the (Dog Star) as being in the constellation Canis Major- (or Canis Majoris) meaning the Greater Dog. Sirius A, B and also includes Adhara (the virgin star) a total of 32 stars in that constellation. Sirius as a whole is a binary system. Sirius B orbits around Sirius A. Since the beginning of my journey with Ka Ba Sum, I have been aware of the beings and energy coming from Sirius. There is a huge link between Sirius and ancient Egypt. The Egyptians knew that there was a link between Goddess Isis, Osiris and Sirius. Lady Isis was indeed represented by the bright star in the night sky. As I have progressed further through teachings, via guidance from Thoth and others, I have learned that the ancients knew some things that now feel completely alien to us- but in a lot of cases, is something that our souls have practiced before. The use of the unconditionally open heart, the understanding of the path of the soul, all things we know deep down inside how to do. With all that said, of course, the understanding of the people wasn’t perfect, the egos were imperfect- so not everything went to plan- from Rameses to Hatshepsut, Akhenaten to Tutankhamun, mistakes were made by Pharaohs, priests and their followers. This is why we didn’t all go where we thought we would, re-incarnating to do this all again! Ka Ba Sum works along with energetic vibrations of Gods and Goddesses- Ra, Horus, Isis, Osiris, Anpu (Anubis) and Thoth. Anpu and Isis are part of the Dog Star energy. Anpu is the great protector and Isis the healing magician (or witch). Thoth is the Master teacher/recorder. The knowledge in Egypt came from Thoth and he brought it there from Sirius- embodying it in his time in Atlantis. So, one way of looking at it is that Sirius is the birthplace, the home of the Egyptian energy. The energy sessions harmonise and calibrate the Ka, the Ba and the Sum energy. Ka is the life force, like prana- linking Ra and the Sun to us. The Ba is spirit and personal power (not the testosterone-fueled power, but divine personal power- the strength and knowing of our self, our ability and our capacity for unconditional love. ‘Sum’, pronounced “Soom”, was described to me as the higher dimensional frequency energy. This can work on our interdimensional self, out timelines and our soul healings. – Astrotheologists, following on from Eastern Philosophers over many years- have said that the ages of the Earth actually relate to the Sun’s position in relation to Sirius A. The farther away we are, the darker the age of man and lesser the consciousness or awakened state. The closer we are to Sirius, the less we need our physical realm and earthly bodies. – Greeks saw the return of Sirius in the sky as the start of summer- the saying “Dog days rising” and “Dog days of summer” related to the arrival in the sky of the great dog star and the rising passions and heat of the summer. – In Hawaii, Sirius is Ka’uala- the Queen of Heaven and marks the winter solstice. – Sirius was depicted in ancient Persian texts as Tishtrya a white horse bringing divinity and fertility to the world. – Chinese astrology depicts Sirius as the celestial wolf. 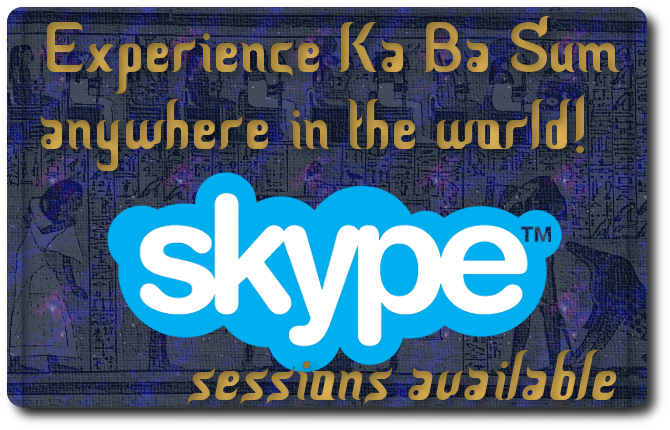 If you are feeling the call from Sirius, or the pull to learn about Ka Ba Sum, now may be the time for you. As our planetary frequency upgrades, so does our personal one- our Mer-Ka-Ba field activates to new levels. Ka Ba Sum can help with the flow and activation of your Mer-Ka-Ba. Drop me a line or read more from this website if you wish to know more. As an aside, in ‘text speak’, Sirius is an anagram of R U ISIS ? Happy International Women’s Day! It seems only appropriate to write about two of the most powerful and inspirational goddesses in Ancient Egypt on this day- Sekhmet and Isis. Goddess Isis was goddess of health, wisdom, magic and marriage. She was the sister and wife of Osiris. Unlike today’s patriarchal set-up, there was a more equitable view. She was viewed as being important as Osiris. In fact, that was the general view, marked out by the Ennead – four pairs of Gods and Goddesses, with Atum at the top as the original God. In the typical form of her myth, Isis was the first daughter of Geb, god of the Earth, and Nut, goddess of the Sky. She was part of the Ennead of Heliopolis- with Atum (the father god), Shu (the air and sunlight) & Tefnut (moisture) , Geb (earth) & Nut (sky), Osiris (death, resurrection & fertility), Set (chaos/disorder) and Nephthys. It can be suggested that Isis was the first witch, a magic-worker of immense power. Following the betrayal and murder of Osiris by Set, Isis found all the pieces of her husband and effectively put him back together again, restoring his body. She was the magical healer. A creator and healer of life. She was also very cunning and instrumental in her son Horus defeating Set. Isis never doubted her power and her love, so magic and life flowed through her. Isis, for me, is the prime example of the powerful divine feminine. A lot gets done to detract from her, such as the medias insistence of calling Islamic State by that acronym. Don’t be afraid of using her name. Her name (known as the Ren) is powerful. You can tap in to that. Sekhmet is the Lioness goddess. Often depicted as the most aggressive goddess in Egypt, she has a fierce reputation. Remember, in the wild, it is the Lionesses that hunts and kills. Sekhmet is the goddess of fire, war and dance. she is perhaps that side of femininity that some fear the most. She is not submissive or quiet, she cannot be controlled, she will not conform to your will, she cannot be ‘put in her place’… she will define her place, she will choose it. From Sekhmet also come the energy Sekhem (there are also variant spellings in the modern world). Sekhem is the same energy as Sekhmet. It can be seen as chaotic and disorientating, but is often neither in truth. Sekhem energy just ‘is’. If you take it in a world full of boundaries and rulesets- it can seem like wildness, anarchy and chaos. It is the unrestricted, flowing, freedom energy that dances because it wants to, it consumes as it needs to, it is restricted only by the person whom it flows through. Your rules and conformity will bring the boundaries, not the energy itself. And that is Sekhmet. Power and strength, intuition and creative sexual energy. I would say this was present in the Suffragettes, Rosa Parks and many other inspirational women. So, on this day, I hope you can remember your own strength and power. People have tried to take it away from you, to box you in with rules to control you. It is yours. In Egyptian mythology, it was always shown.